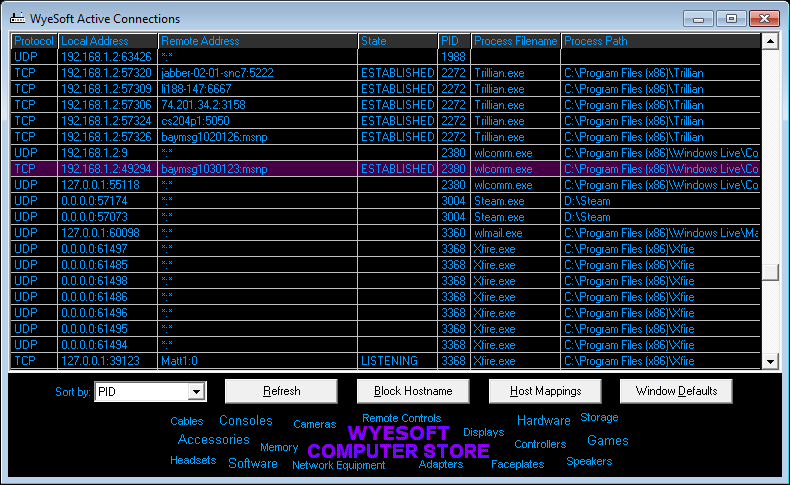 WyeSoft Active Connections is a utility that displays information on all connections between your computer and others on your network or the internet, including filenames and paths of the programs/processes that initiated the connections where applicable. You are given the option to block hostnames (by setting them to loopback to your own computer) so that connections to these remote hosts are not possible in future. This is useful for preventing spyware from functioning and for blocking advertisements by certain programs.